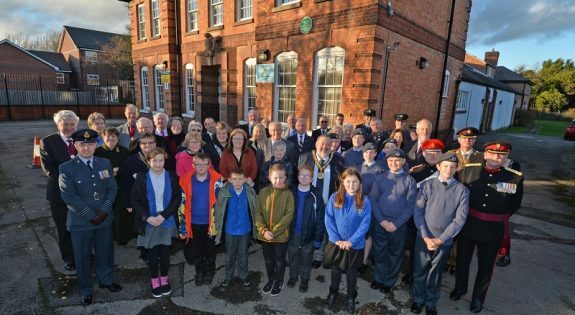 A historic Melton Mowbray building from where troops departed to fight in the First World War and is now the home of the local Army Cadets and Air Cadets was honoured with a green plaque last week. 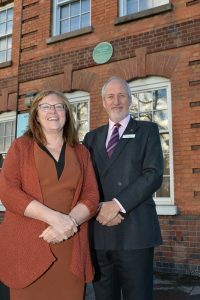 On Thursday, 29 November, the plaque was installed at the Drill Hall, Asfordby Road, Melton Mowbray. Representatives from the Reserve Forces and Cadets Association (RFCA) will join other dignitaries for the unveiling of the plaque. 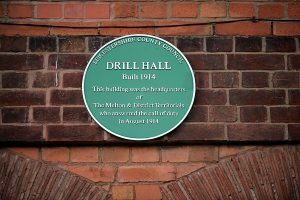 Built in 1914, the Drill Hall was the headquarters for the ‘A’ Squadron of the Leicestershire Yeomanry, who bravely fought and held the line at the Battle of Frezenberg Ridge. After four hours of bombardment and a further seven of fighting off infantry assaults, only 50 of the troops – who came from Melton, Rearsby, Harby and Rutland – were accounted for. In June 1915, a draft of 206 troops paraded at the Drill Hall to replace the severe losses in that battle. Local historian Derek Simmonds, from Melton Mowbray, nominated the building for the county council award. He said: “I think it is absolutely wonderful that Drill Hall has been chosen to receive this prestigious award. Today, the building acts as the headquarters for the 1279 Squadron Melton Mowbray Air Cadets and the town’s detachment of Leicestershire, Northamptonshire and Rutland Army Cadet Force. “I think it is absolutely wonderful that Drill Hall has been chosen to receive this prestigious award."